It's no secret on my blog that I love ear piercings so when BodyJewelryPiercing contacted me and offered to send me some of their items I was really excited! 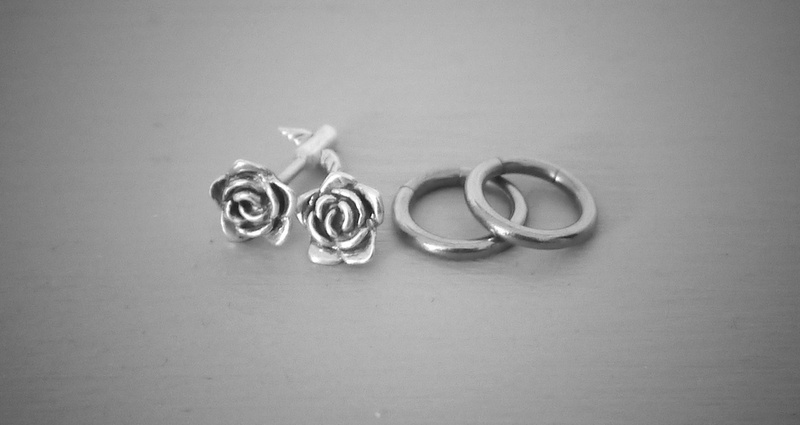 I have a bit of a thing for roses at the moment so when I saw these studs (that can also be worn in a tragus or cartilage piercing) I fell in love, I love the attention to detail and that they even have tiny leaves on the bar. I also got sent these small hoops that I'm planning on wearing in my second lobe piercings from time to time. If you have ear piercings like me then I highly recommend the site, there's so much choice and each item can be worn multiple ways, but there's information with each to help you decide. What's more, the prices are really affordable and I would definitely shop there again if I wanted a new rook bar or simple earrings for my lobes. HEY!!! 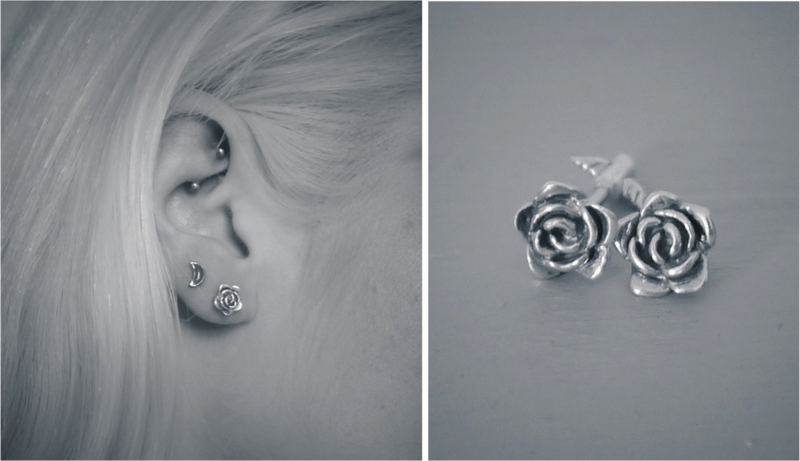 Great blog and cool piercings!! !